My 9 year old LOVES Monopoly. 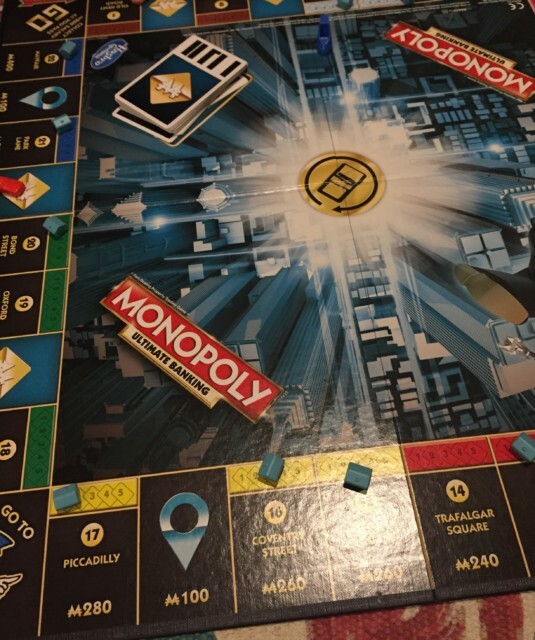 I think his grandparents cringe every time the word is mentioned as he is also VERY competitive, but I love Monopoly too, it’s such a timeless game and one that brings back many happy memories. 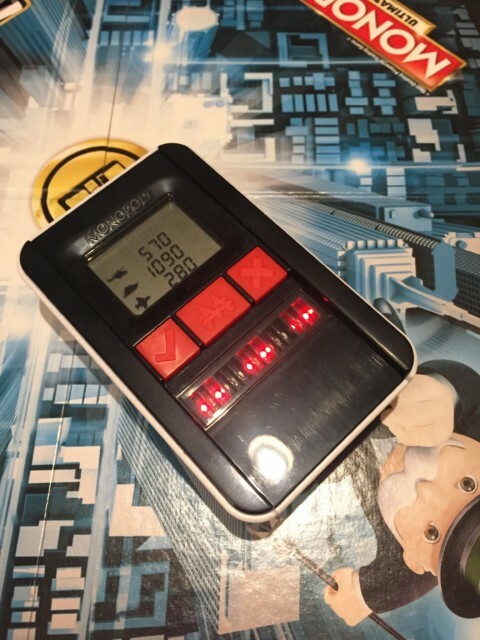 We have the traditional game, the Marvel version, Monopoly Zapped, my personal favourite Monopoly Empire and the new favourite of my children Monopoly Ultimate Banking. In this new version of the game, money has been replaced by debit cards and a card machine which cleverly handles all the transactions. The machine is easy to use, and allows players to instantly buy properties, charge rent and carry out the various tasks on the event cards. The banking unit keeps track of everyone’s money and knows who owns which properties. The set comes with a gameboard, Ultimate Banking card unit, 4 plastic play pieces, 22 blue plastic houses, 49 cards (4 Bank, 22 Title Deed, 23 Event), 2 dice and instructions. The game allows for 4 players and is is suitable for children aged eight and above. 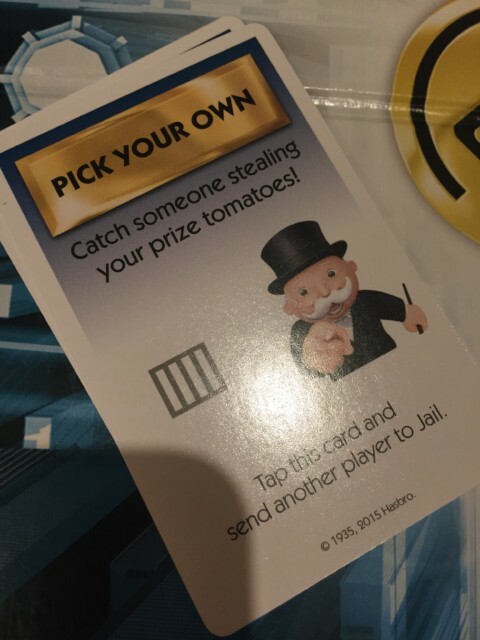 This version of Monopoly has Event cards and Location spaces instead of Chance cards and Community Chest cards. If you have to pick up an event card, rents may be raised or lowered, players can earn or lose money, or be sent to jail. 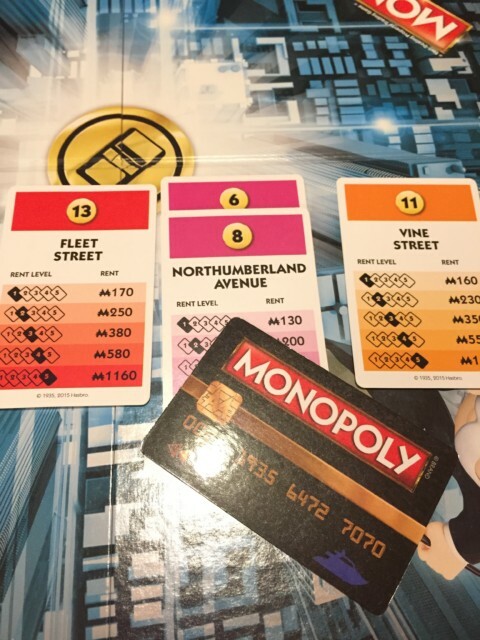 Location Spaces allow players to pay and move to any property space on the game board. This can be a space to buy or if already owned allows players to raise their rent. I really like the cashless idea, which solves the problem we often have of bankers cheating and also saves a lot of time. It also means there is a real end to the game, as the machine stops play when a player is bankrupt. We’ve played Monopoly Ultimate Banking a lot over the Christmas holidays. It is definitely a big hit with all my children and me! We received Monopoly Ultimate Banking for the purpose of this review.